All tours are private therefore can be custom made. So if you’d like to combine more than one place or see just one, we will give you an outline of the tour, the various possibilities and our best advice to help you see and enjoy the most. Our drivers are not guides, therefore aren’t required to know all detailed information on the history of the cities and monuments and cannot accompany you round the sites on foot . 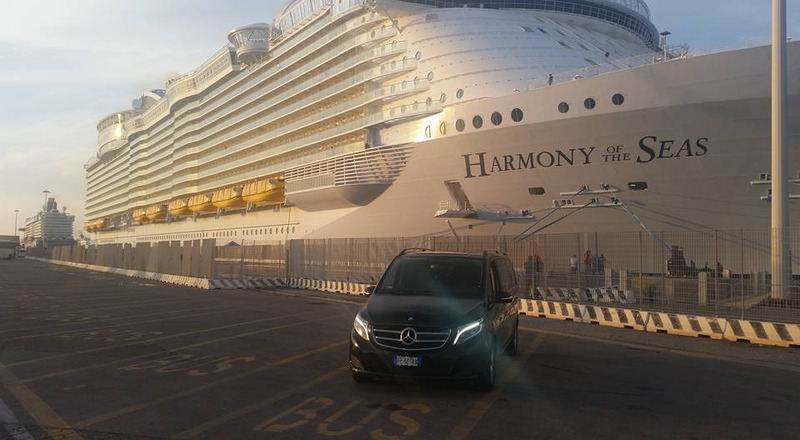 They will pick you up at the dock and they will be at your disposal for the whole excursion. They will advice you on what to visit and where to eat giving you enough time to discover the place and organize your return trip. Therefore you can choose to have an additional service which is that of a Tour Leader or Tour Guide, who both require two distinctive and separate licenses: The Tour Guide is a licensed qualified expert who can give specific information on history, art, architecture and culture of the sites (The tour guide has to obtain a license for each city and it’s province). The Tour Leader is with you throughout the whole trip and leads the group, giving them general information on the countries and cities/towns visited on the vehicle. They will help you with general guidance around a city/village, and give you information on the place visited on the bus, but they are not required to have specific knowledge on the sites. They are not allowed to give a guided tour of the place Tour prices don’t include meals or entrance fees. If you’d like to visit a specific Museum it’s best if you pre-book as the most famous ones usually have very long lines and would waste most of your precious time. We’re here to help you make the most of your stay so don’t hesitate to ask for help and advice! The following tours are a good way to see the most famous places so you can decide to come back and see them more in depth. So although you might feel like it is too much to see in one day, just remember that this is a taste of the many beauties this area offers. Discover the capital of Tuscany with all it’s beautiful art work. We will spend the morning there to then head off to the Miracle square, where there’s one of the most famous monuments in the world: the Leaning Tower of Pisa. Pisa-Lucca: Visit the beautiful square of Pisa, with the Leaning Tower and then head off to the enchanting renaissance, walled city of Lucca. Visit the great medieval city of Siena and then the amazing village of San Gimignano, famous for its many towers, famous for its many pottery shops and the Vernaccia white wine. Pisa and Lucca Visit the beautiful square of Pisa, with the Leaning Tower and then head off to the enchanting renaissance, walled city of Lucca. Cinque Terre and Porto Venere: Not far from La Spezia are the picturesque five villages set along the Ligurian coast, together with the charming little village of Porto Venere. Enjoy a day along the coast with amazing views, we can take the ferry, have lunch at a great fish restaurant and stroll along quant little streets. 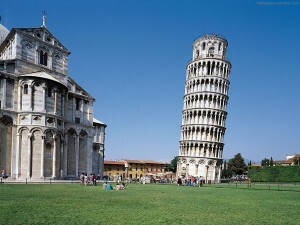 Firenze and Pisa: Discover the capital of Tuscany with all it’s beautiful art work. We will spend the morning there to then head off to the Miracle square, where there’s one of the most famous monuments in the world: the Leaning Tower of Pisa. 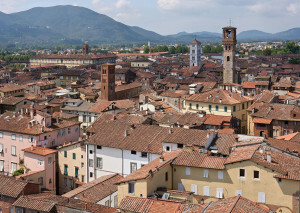 Lucca and Cooking Class: Why not try something different and enjoy a day in the charming city of Lucca, with it’s beautiful monuments and shops and then top it off with a great Italian cooking class. If you love food and Italian culture, this is a great way to enjoy it all.